You’ve got loads of deadlines and tasks that you really need to do, or else! However, you don’t have all the time in this world to accomplish even half of them. What do you do? You take the advantage of hiring a virtual assistant (VA) from back office offshoring services. A virtual assistant can make things easy for you, but what tasks would you let them work on? Like you, most people are unaware what and how much they can outsource to VAs. In this blog we want to help you understand what you can, and should, let your VA handle for you. 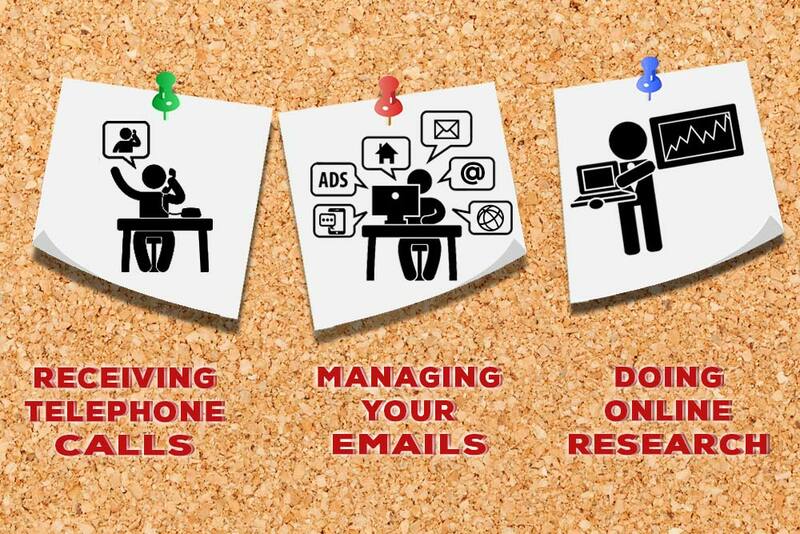 Emails are probably one of the biggest time wasters for busy businessmen. Imagine working hard on a particular task, getting into the zone or into the flow, and suddenly, a new email appears. What you do next is to answer that email and then you discover that you’ve totally lost the flow in the previous task. It takes you at least 20 minutes to warm up back to your previous task. That’s how interruptions damage workflow. Just imagine how many hours you have wasted going through all those emails. It’s best to have a VA to take care of your emails. Also, if some of the emails are urgent or confidential, your assistant would let you know. Telephone calls interrupt you in the same way as emails. Most big companies have customer service departments, but that’s just not enough. Even the most “personal” calls that you get are still not worth your time and focus in most cases – that’s why you need to get a VA to help you with personal calls. Without distracting telephone calls, you will get to save valuable time. Also, you may want to know that even most so-called “emergency” calls are simply just distractions. Every man in charge of his business needs a secretary. A secretary answers calls and keeps a focused eye on your schedule. If there are places you need to attend to and people that you need to call, it’s best if there’s a VA who will remind you to do it. If you’re doing research alone, why wouldn’t you let someone else give you a helping hand? The only thing you need to do is to provide clear instructions on what to research. If you’re working on a project where it is crucial to research various topics, imagine how fast you would be able to accomplish it if you already had most of the info. Writing articles is also so much easier with VAs. They will gather most of the information for you and you’ll have a good head-start. You can even tell them to compose the summary for you. Doing it yourself would probably be too taxing and stressful. But the help of virtual assistants from offshore back office solutions could help you perform and accomplish tasks with relative ease.